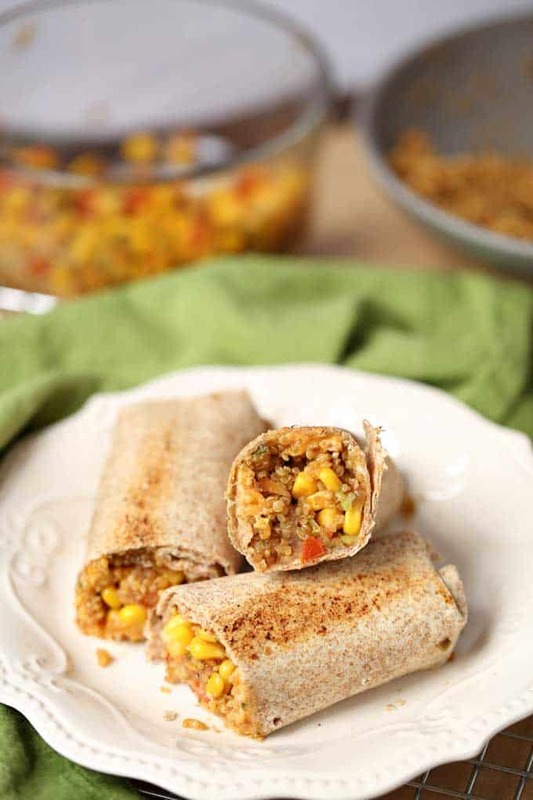 The Ultimate Veggie Quinoa Burritos the Whole Family Will Love! Happy New Year. I’d like to welcome you to the Ritz Carlton for kids! Oh, I mean my kitchen. I’m pretty sure that my kids are some of the pickiest eaters out there. And I’m also sure that I am largely to blame. In the last twelve years, I’ve become the accommodating mom that I swore I’d never be. When I was a kid, it was eat your (mushy, gross) butter beans or get a spanking. I didn’t want to be that mom either. Now, let me just say that I wouldn’t consider any of my kids to be difficult children. I almost never take them out without getting some compliment on their behavior. They are happy, usually help out without complaining, have excellent manners and are extremely loving. All in all, great kids. But everything changes when we start talking about food. Oh sure, when they are refusing my latest creation they will say “no, THANK YOU” in the sweetest voice possible. You know the whole, “They will eat when they get hungry enough” thing? Um, yeah. Not at my house. I’ll give you some examples of their food persnickety behavior just so you understand how much work it creates. My oldest won’t touch pasta (except for mac n cheese), but my youngest loves it. One likes white cheese. It’s only yellow for the other. Skye will only eat cheese if it is melted. Alex won’t touch anything with any type of nuts. His brother won’t touch nuts every other day. Skye would live on cashews and almonds if I would let her. I could go on all day here. I’m guessing it is pretty clear why I’ve taught him to make his own lunches. Pizza night sounds easy, right? Especially since my freezer is always packed with frozen dough and sauce I’ve made. Pizza night in my house means rolling out and preparing four completely different pizzas. God forbid my kids eat the same thing. My oldest is by far the most difficult about food and will not touch red sauce on pizza. So for him I must prepare a Mexican pizza. My youngest loves plain cheese pizza but will not touch vegetables willingly and will refuse to eat if I try to do 1/2 his pizza and half someone elses. Even if there is absolutely nothing touching his pieces. Skye will only eat Amy’s frozen pizza. And my husband….well, since he handles all things technical around here, maybe it would be unwise to go there? Something I’ve realized as of late is that I just can’t continue at the rate I’m going. So instead, this year I’m going to be focusing on family meals that are versatile without too much effort. Because as picky as they are, they had to get it from somewhere and I’m not willing to sacrifice on taste. I’m also trying to find recipes where I can chop veggies up small and hope they aren’t noticed. 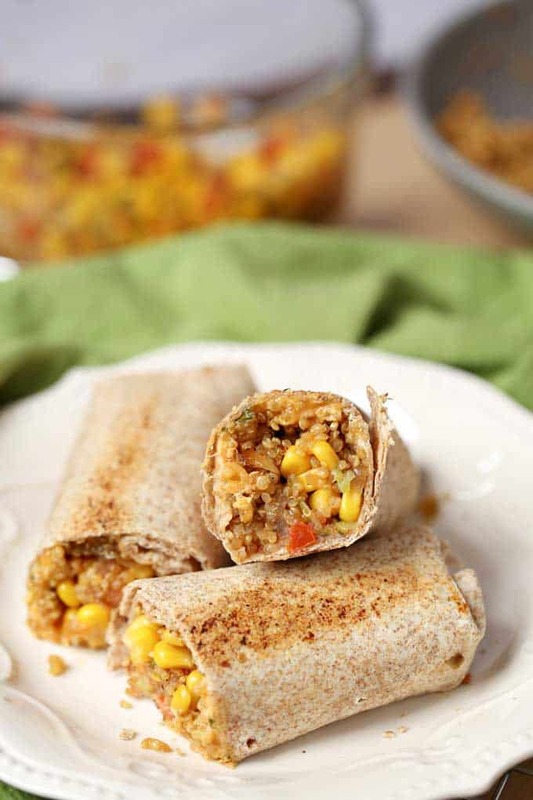 Today’s Veggie Quinoa Burritos are a perfect example. 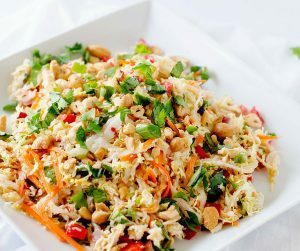 They are a great way to sneak in veggies and easy to change up according to everyone’s tastes. No need to skip flavor for me because I can just use plain sour cream or yogurt for them. It’s still not a perfect solution, but it’s progress. Spray a medium saucepan with oil. Add onion and jalapeno and cook for 8 to 10 minutes, until tender. Add quinoa and garlic and sauté for one minute. Add vegetable broth and bring to a simmer. Reduce heat to low and cover. Cook for 30 to 35 minutes. Remove from heat and allow to sit covered for 5 more minutes. In a small bowl combine sour cream, cilantro, lime juice and chipotle chili pepper. Heat a large skillet over medium-high heat and spray with oil. Add corn and zucchini and cook for 2 minutes. Add tomatoes and cook for one additional minute. Remove vegetables from heat and wipe pan carefully with paper towels. Return skillet to medium heat and spray with oil. Add 2 burritos to pan and cook each side until browned. I like So Delicious Coconut yogurt for a vegan option of the sauce. That is exactly what I am craving! 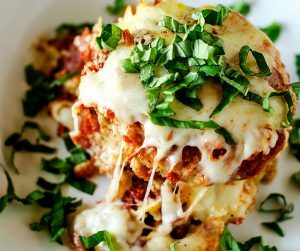 I will be making this for lunch today! That is one delicious looking dish. I always love finding dishes that are both healthy and tasty. That’s actually not easy! Thanks! Oh my goodness! It’s really tempting I wanna grab it from my screen. I’ll give it a try it looks easy to make. Great recipe! I love quinoa but I’ve never tried it in a wrap! Definitely trying this! thanks! 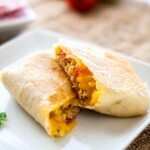 What a yummy way to eat healthy I just love burritos but I’ve never tried them with quinoa. Will need to give it a try! 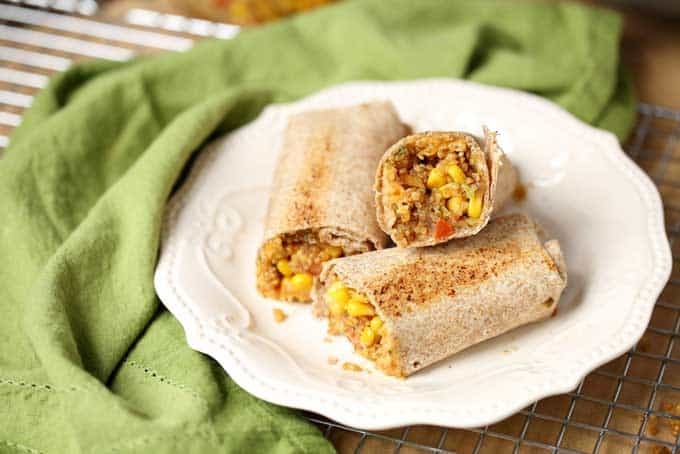 These veggie quinoa burritos sound amazing. My oldest son is gluten free and I love finding new things for him to eat so I will have to make these for him. Thanks for sharing the recipe. This would make for a great lunch! I would totally be willing to try this recipe out with my husband. I have never thought to mix my favorite burrito with quinoa before but I think this would be a winner at my house! Those look great! I’ve never tried quinoa with a burrito before. Definitely very interesting. I love that quinoa is so great for you too. 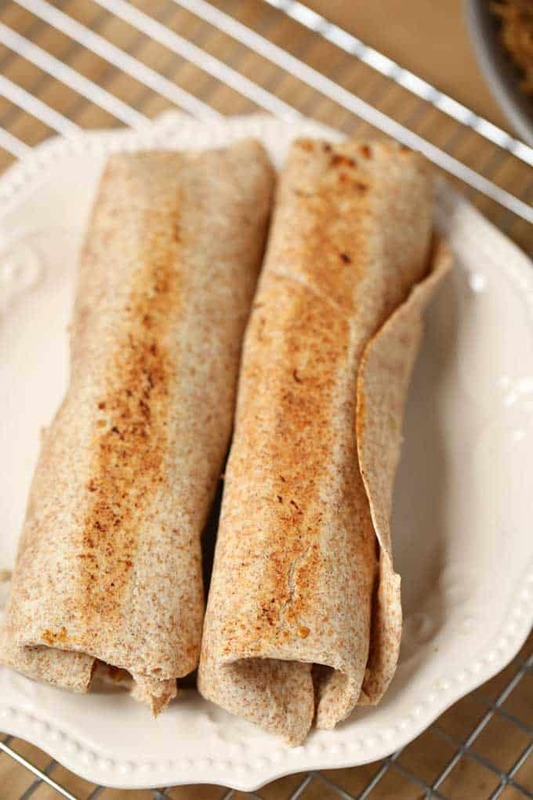 I will have to try making some veggie quinoa burritos. They look so delicious and easy to make. I am always looking for healthy options. I’ve never had a Veggie Quinoa Burrito before, but it sounds really yummy! I would love to try this sometime! These burritos look fabulous. I still haven’t had a chance to fix quinoa yet. I will have to give this a try. I am always looking for healthier options for dinner. What a great looking veggie burrito. My husband would love this. I really love quinoa. It is something I am slowly getting my family to enjoy also. I think they would really love it in these burritos! My husband made me buy quinoa recently and I’ve never cooked with it before so I had no idea what to do with it. It is still in my cupboard, I think I am going to try your recipe. I made the Quinoa burritos and they were awesome! Family loved them. I added green chili from can to my husbands as he likes it more spicy.Quinoa definitely needs to be flavored,(does not taste good bland) so this is a good way to eat them. The flavor of the sour cream sauce comes through.